So, it is safe to say that last night was pretty crappy for me. Aside from the usual nightmares that I get where I am being chased by a ghost (after of course, I watch some gruesome horror flick), I was actually waking up to something worse. YOU ARE NOT ALLOWED IN MY ROOM! I have this amazing device, it looks more like a tennis/ badminton racquet and there’s this nasty electric current that passes through the wires. But I absoluetly cannot stand these bloodsuckers. and then I woke up to these yummy beauties! 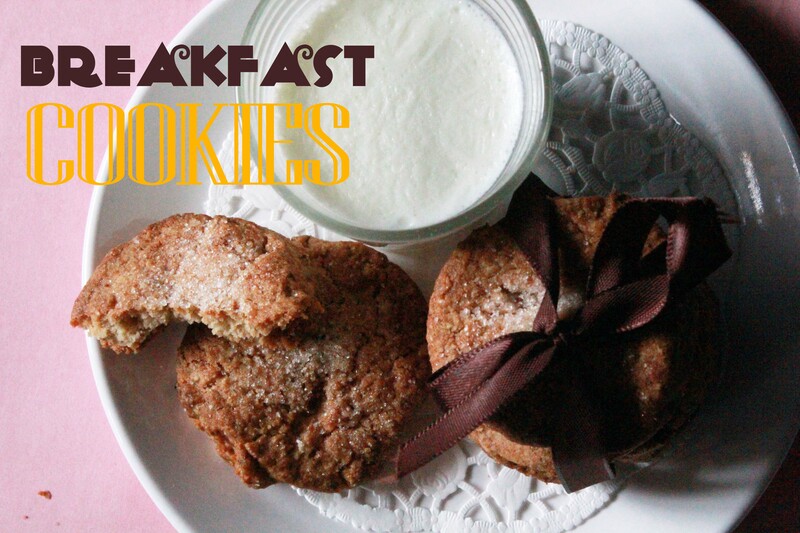 They have everything that a perfect breakfast should have…..
Oats, Honey, Raisins, Wheat flour. 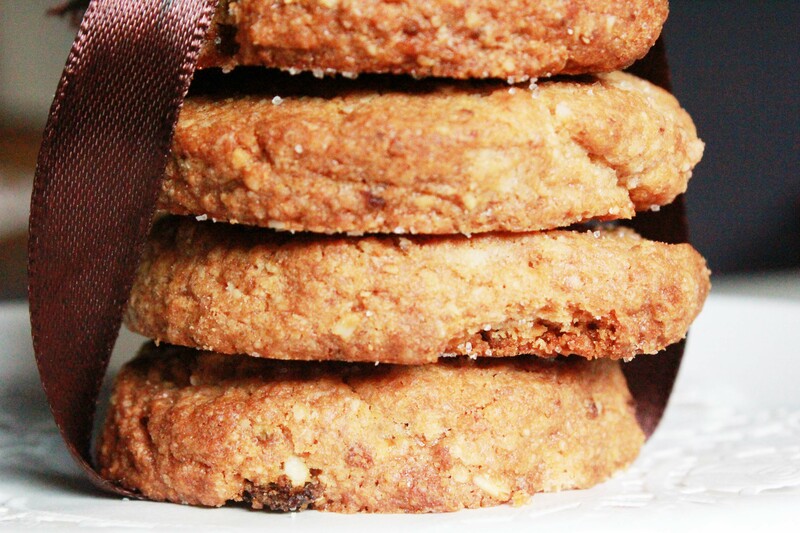 If you are still confused, I have the full recipe here with the exact measurements that I used. I got about 20 cookies with these. 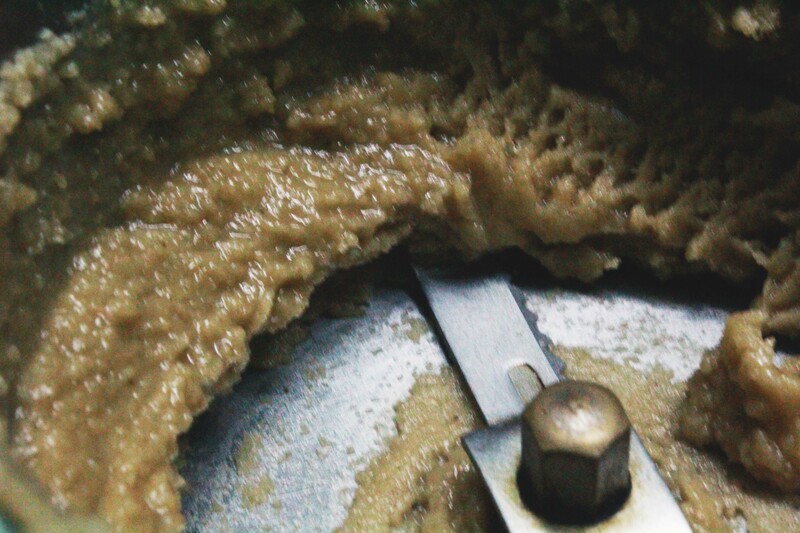 Rub chilled butter into the sieved wholewheat flour. Do not over work the flour. 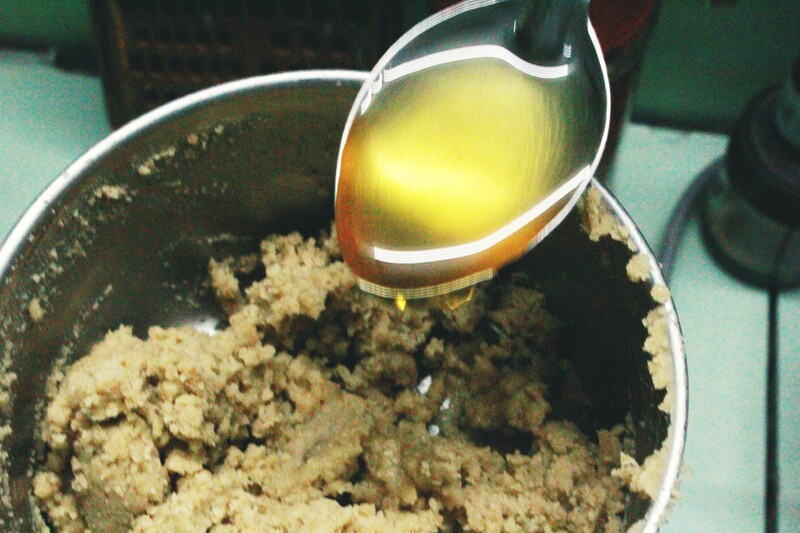 Rub it enough for the mixture to resemble breadcrumbs. Add the oats and seeds/nuts into a blender and pulse till you get a fine powder. Add it into the mixture. Throw in a handful of raisins and add the honey. You could include fresh fruits like a mashed banana or some fresh blueberries, even flaked almonds or coconut for that matter. The result will be just yum! Once that’s done, add the egg yolks and combine. DO NOT KNEAD the dough. Place it on a floured surface and flatten it out and cut shapes. Place it on a greased tray and sprinkle some sugar for a crisp top. Bake in a preheated oven of 200 C for about 15-17 minutes! That’s it for now!!!! Oh and PS: just a few weeks more for college to begin! I’ll see ya’ll next Sunday! Oh a quick weather update? 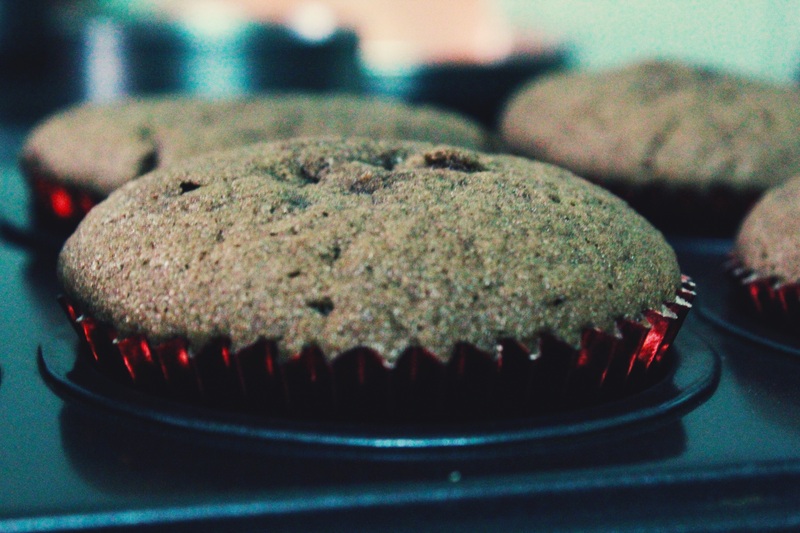 You do not need an oven to bake the cupcakes here…. Just collect some batter in cupcake liners and go outside. ummm… I’d say around 12 noon???? You will have perfectly baked cupcakes springy to the touch! You seriously didn’t expect me to bake cupcakes in this heat, did you? I made something cool instead! I mean see for your self! 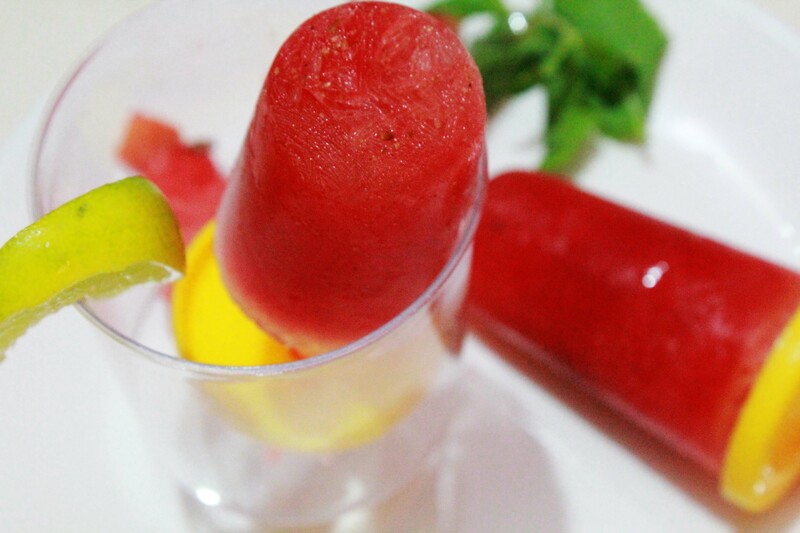 Its a spiced watermelon ice lolly!!! It’s got this amazing blend of spices and mint and lime and oh ! I drool every time just thinking about how good it felt as it passed my throat! Nice and cold and deliciously sweet. And A Video Tutorial to guide you through it! So, this recipe does not really need any exact measurements. Everything depends on your tastes. 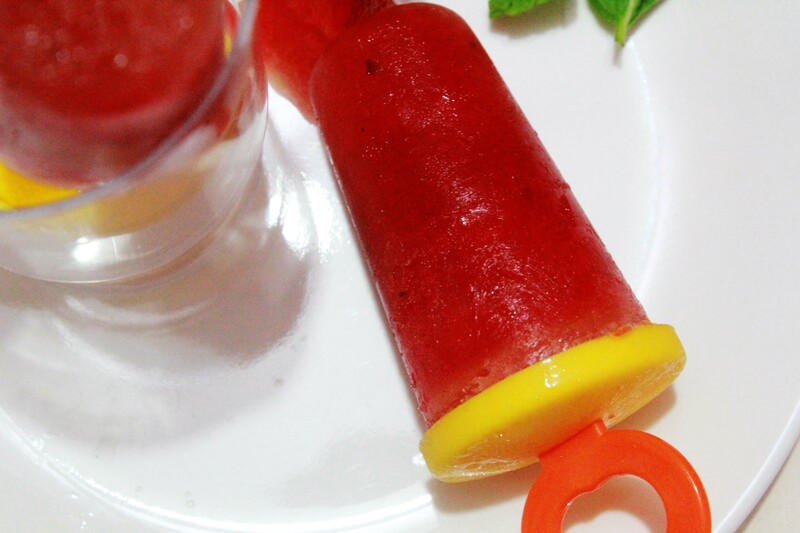 Add some lime juice, crushed mint leaves, salt, pepper and cumin, throw in some sugar syrup, stir everything well and fill this liquid in the molds and freeze till it hardens! Okay, so the heat is getting to me now! I need a nice cold drink! I’ll meet ya again next week now! 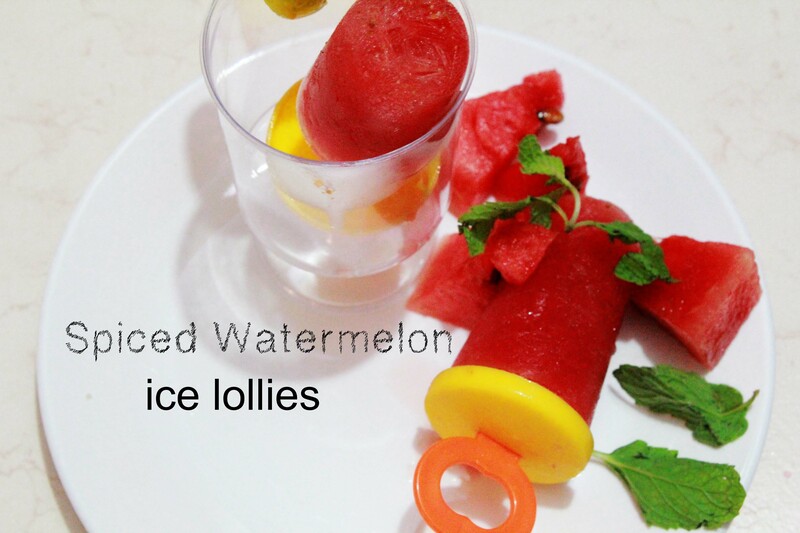 🙂 Do try these lollies and lemme know how they turned out! This is one of the most hassle free filled cupcake recipes. But before I divulge any more details on these beauties, I have some things that I’d like to share! I mean , seriously! There is absolutely NOTHING to do! No ‘One Tree Hill’ episodes, no ‘Masterchef USA’. Only sad, soppy movies with a weird melodramatic background music play all day long! Yeah well, my mum loves watching these kind of movies! A very Happy Mother’s Day to all mums on the planet! Yeah, I mean you know there’s Coffee and Dulce De Leche ( bittersweet) just like the relation you share with your mum. 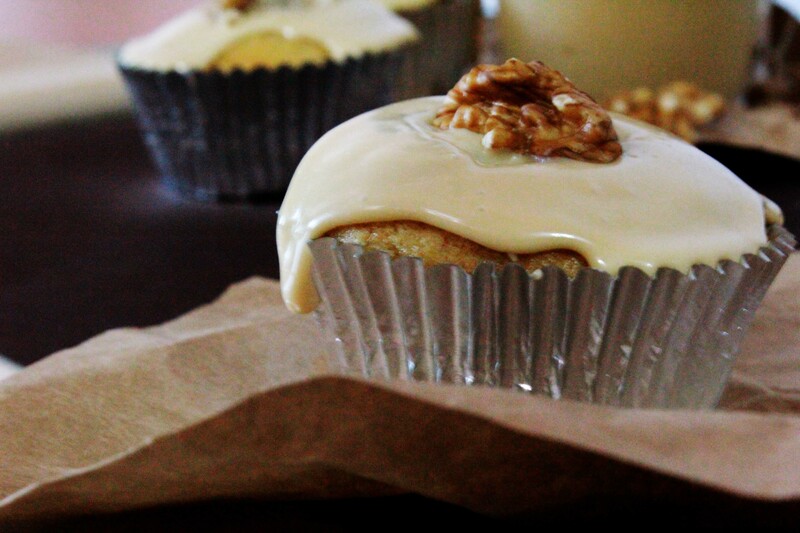 Coffee Spiked Dulce De Leche And Walnut Butter Cupcakes. Cream butter and sugar. Add eggs and coffee mixture. Sift the flour and baking powder and add yogurt. Bake in a preheated oven of 180 degree Celsius for about 20 minutes. Make holes in the center of the cupcakes. 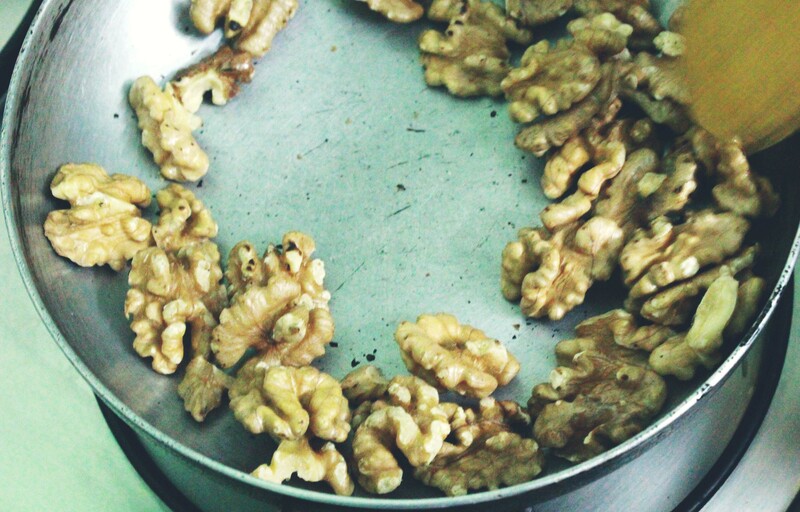 and fill them with the 3 Step Walnut Butter (Click Here for recipe). For the Frosting, cream the butter and sugar and add the dulce de leche mixed with the coffee mixture and spoon the frosting on the cupcakes. You can even make a firmer icing and pipe it onto the cupcakes. I sort of like the way the icing freely falls onto the surface of the cupcakes. Simple and DELISH! If the recipe has left you a little confused, you can watch my Tutorial Video HERE! I’ll see you next week with another interesting recipe and a video to go with it! So, It was a pretty awful day today! I mean there are a ton of things I need to buy and such INDEFINITE strikes are enough to dampen my spirits! It’s already so hot outside! 😀 😀 😀 What ? It’s all important stuff okay! 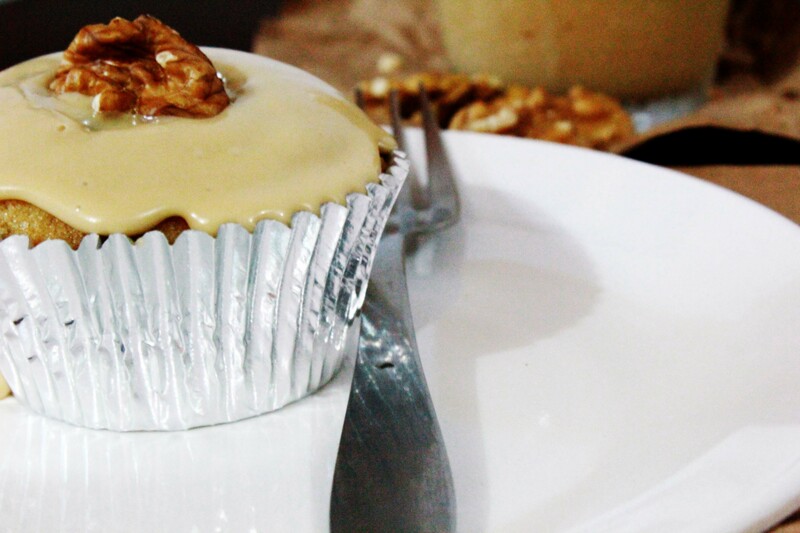 Well, I baked a batch of these AMAZING CUPCAKES using this healthy recipe for walnut butter I made earlier and the dulce de leche recipe that I am about to show you! Since I had nothing to do, I started toying with the idea of making dulce de leche at home! 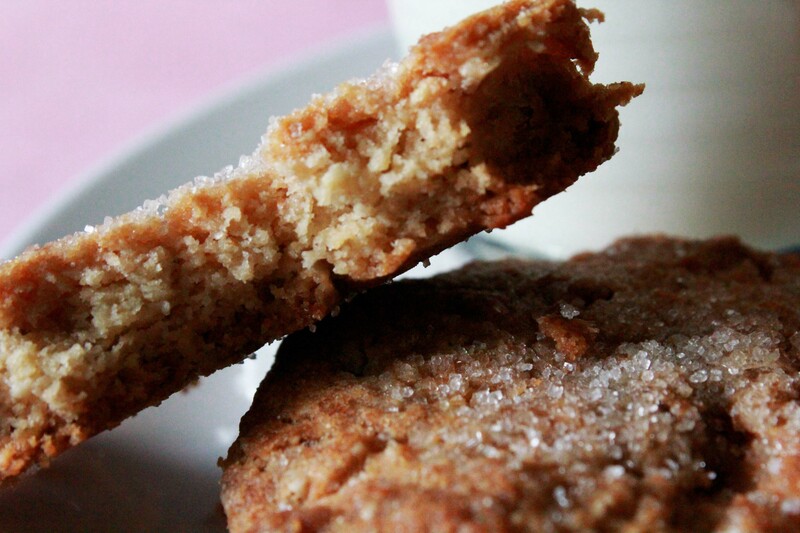 It’s really simple and all you need is an oven and some condensed milk and you’re good to go. 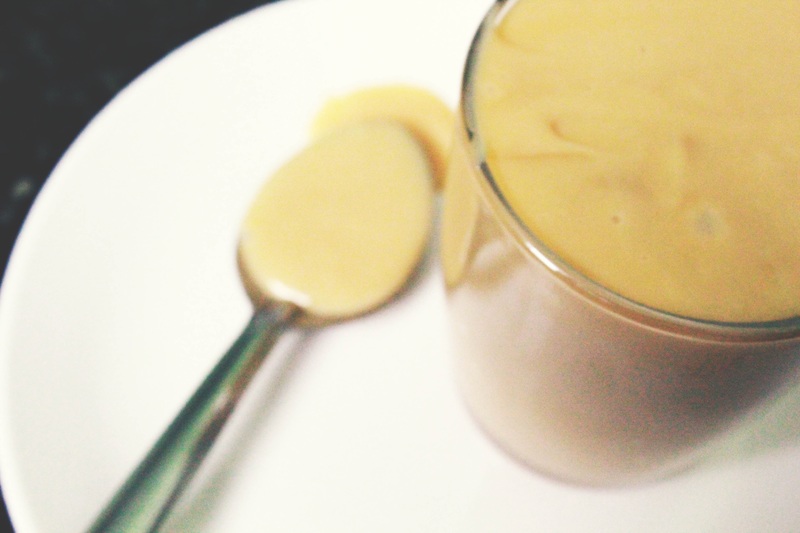 So here’s a step by step guide for recipe for dulce de leche. Oh, for those who do not know what Dulce De Leche is, it is basically milk caramel. It is made by slowly cooking sweetened milk for hours and hours together. Obviously I couldn’t do this on the stove. My mom would pack my bags and throw me out of the house for using the stove for such long hours. I chose the oven instead. 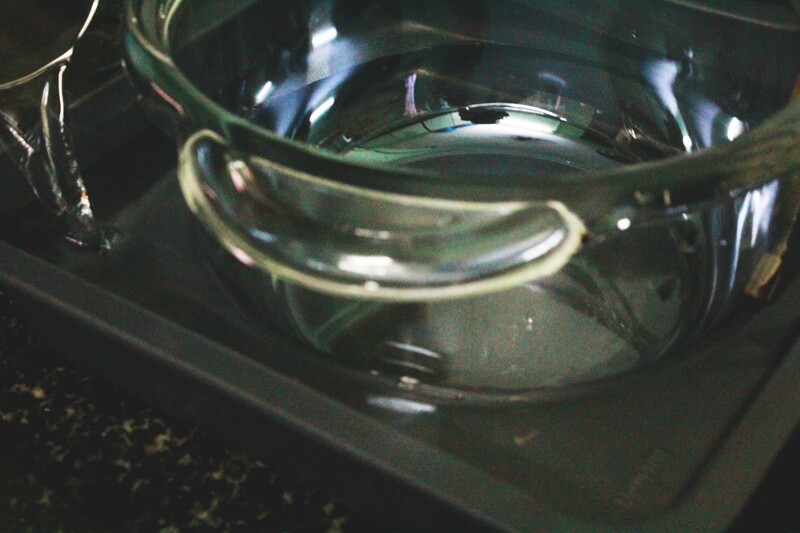 Recipe for Dulce De Leche: Fill water into a dish and place another dish in it. almost like a water bath. Pour in the condensed milk. 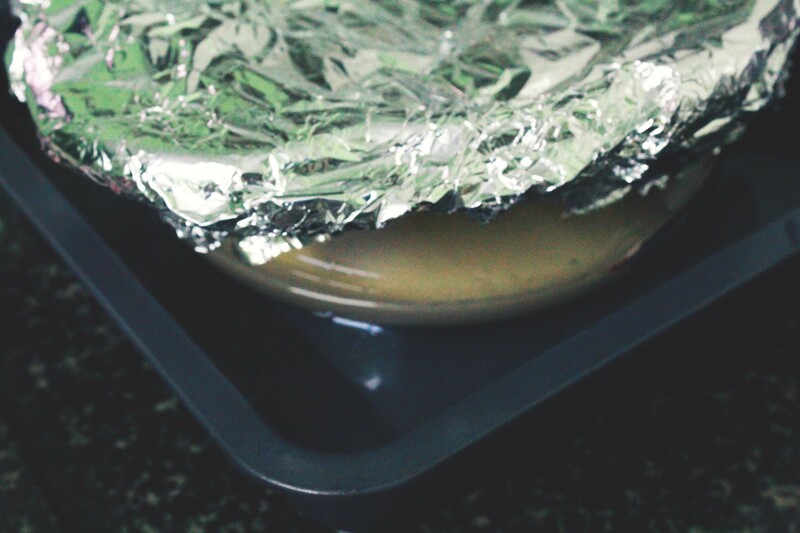 Cover with a foil. Bake in a Preheated oven of 220 degree Celsius for about 60 to 90 minutes. I do not like it when my dulce de leche takes a deep brown color. This recipe for dulce de leche is as easy as pie. all you need to do is pour the can of condensed milk and pop it into the oven while you look after all the other chores and of course sulk that all the stores are closed. The jar is half finished already! And my mum had to literally steal it from me( because I need it this Sunday). So, I guess I’m going to write a letter to whoever I should be writing one to complain about this INDEFINITE STRIKE! Okay, I know I said that I’d be back Next Sunday, but it just so happens that I cannot stay away from you guys! And besides, it’s too damn hot outside! 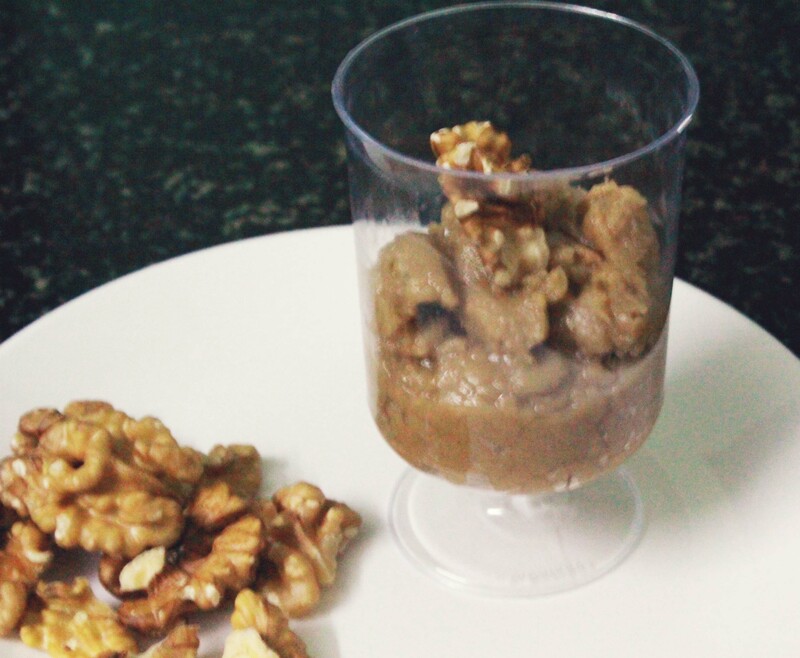 Since I didn’t have anything better to do, I made walnut butter! Oh I totally need to tell you this! I NEVER KNEW ANY KIND OF NUT BUTTER EXISTED EXCEPT PEANUT BUTTER!!! Was the walnut butter tasty? Was it difficult to make?? Well, do you find brushing your teeth difficult? 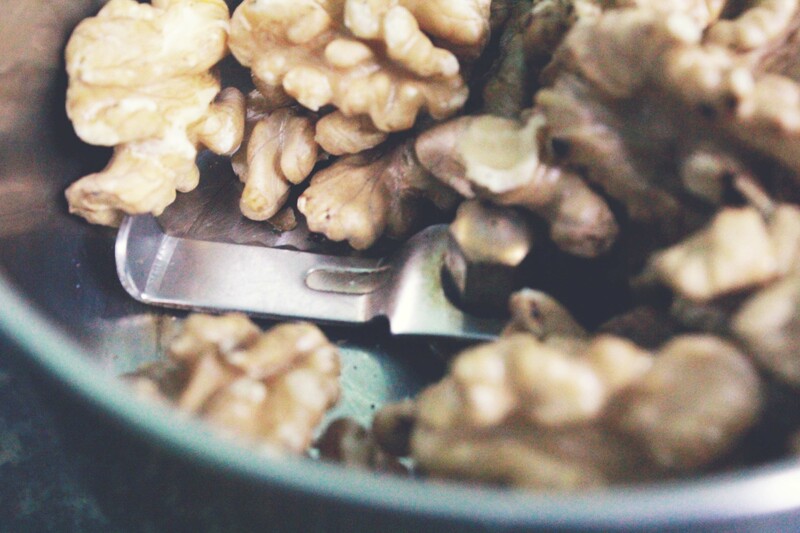 So, you want to make walnut butter too??? Well, then you are just three steps away!!! Step 2: Put it into the blender and BLITZ BLITZ BLITZ!!! Blitz some more and VOILA!!! Yum Yum! The most guilt free butter on the planet! You can have it with toast for breakfast or spread it on any damn thing that can be eaten and it will taste like heaven! You could of course add your own flavorings like maybe cinnamon or salt or anything that you’d like! I’m so excited to finally have my own website to show you all the scrummy desserts you can make at home. Oh and besides I’ll even share some crazy things I do on a regular basis (well, unintentional of course) to embarrass myself! Now now! I really cannot help it okay!! I was born clumsy. I cannot walk two steps without getting hit by an inanimate object and occasionally human species. Okay, I guess this is really not the way I should introduce myself. But anyways now that you do know about my clumsiness, lets CHANGE THE TOPIC! 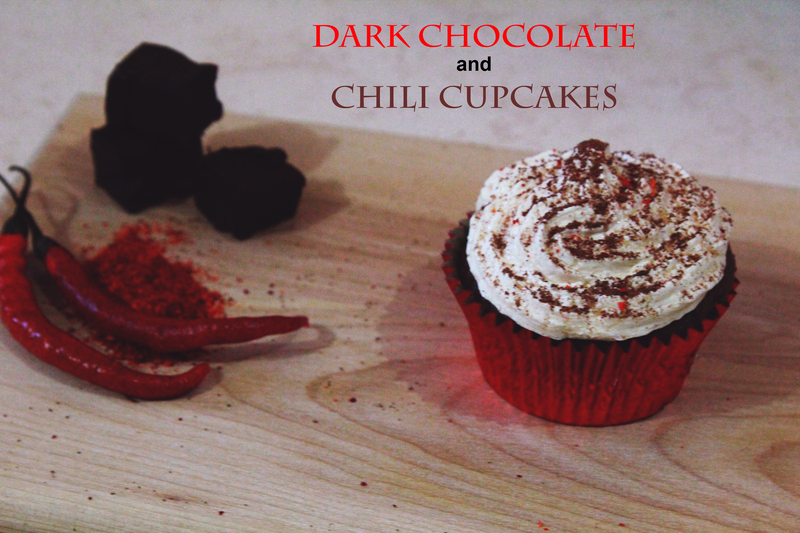 So, this week I made Dark Chocolate and Chili Cupcakes!! Is it a weird combination?? Totally!!!!!!!! Okay, now I know chilies and chocolate is a weird combination but if it tastes good, then why not? Oh!!! speaking of weird combos, people say jam and sauce go really well together! That does not sound very appetizing, but I guess we’ll have to try that some day, whatsay? 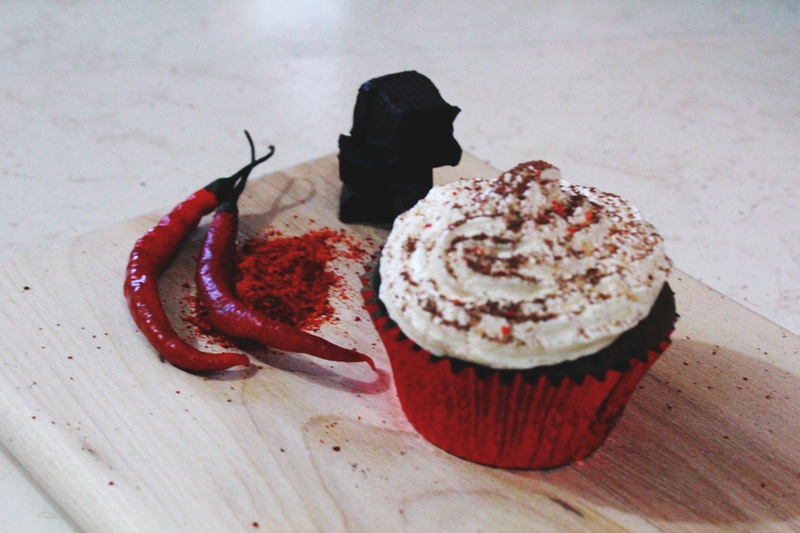 Dark chocolate and chilli cupcakes! Cream the butter and sugar. Add the eggs and mix well. Fold in the melted dark chocolate. Sift in the flour and baking powder. Add the salt. Mix well. 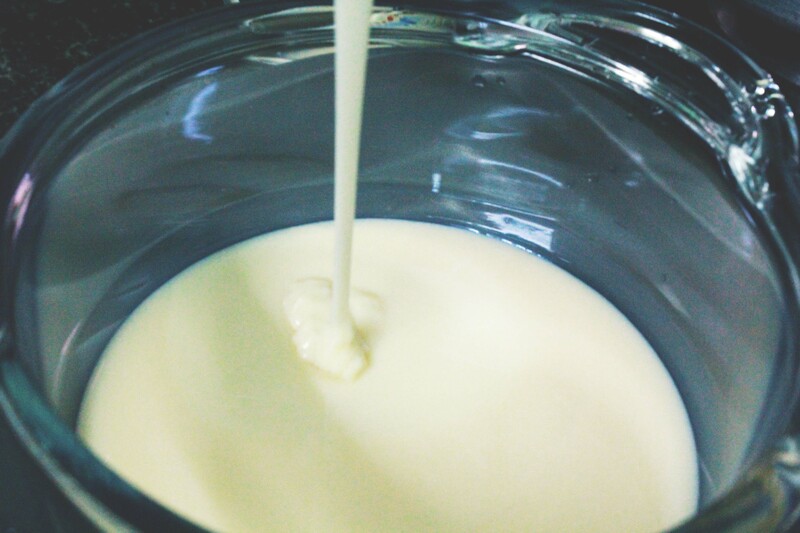 Add the buttermilk until the batter becomes smooth. pour into molds lined with cupcake liners and bake in a preheated oven. 180 degrees Celsius for 20-25 minutes. Poke a skewer in the center of the cupcake and it should come out clean. 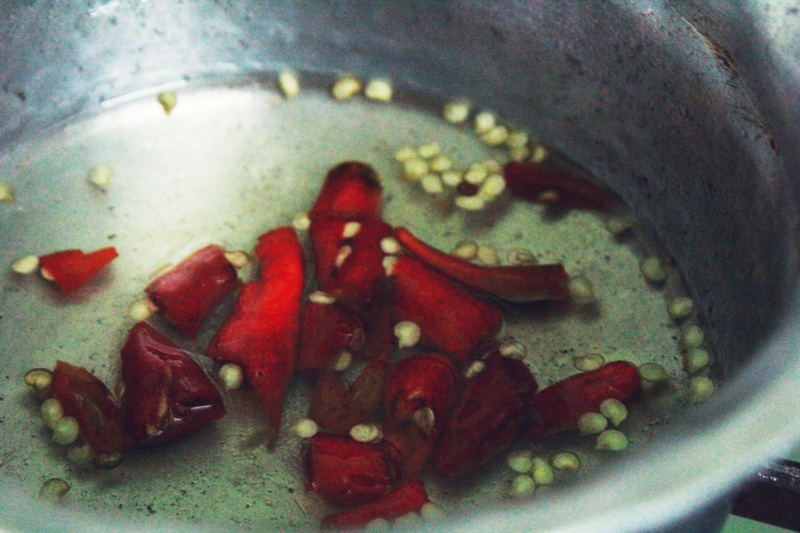 Chop the chilies and add them to a saucepan in which sugar and water are boiling. When the syrup thickens, take it off the flame and using a pastry brush, lightly soak the warm cupcakes which have been taken out of the oven. Cream the butter and cream cheese. Add the icing sugar and chili powder. Fill in the piping bags and frost the cupcakes. 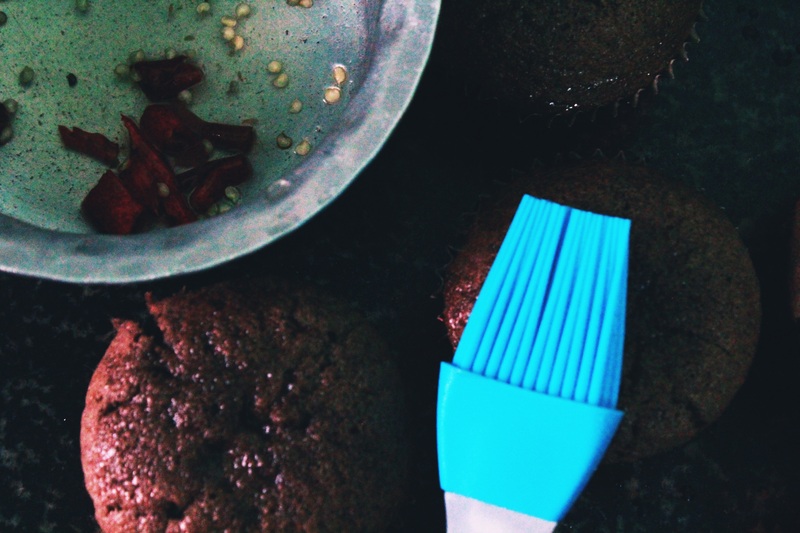 The amazing Dark Chocolate and Chili Cupcakes! I hope you have an amazing Sunday! 🙂 I’ll be back again next Sunday with an amazing new recipe and a Video Tutorial to go with it.